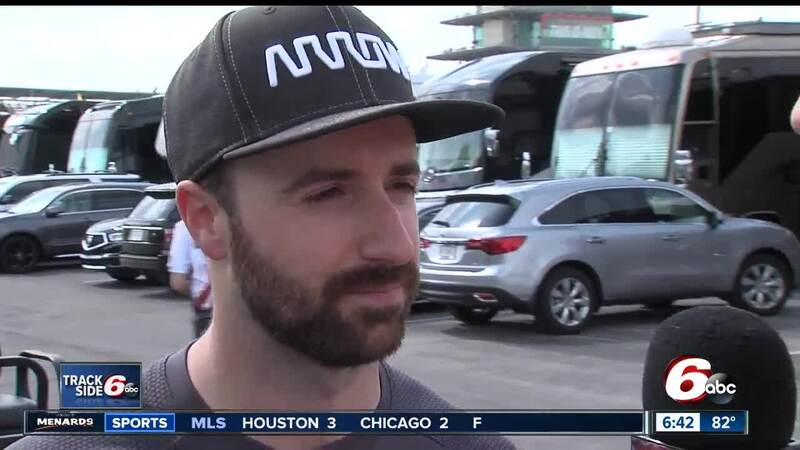 NEW YORK (AP) — James Hinchcliffe once likened Indianapolis Motor Speedway to a cruel mistress. A few days ago, he found out just how cruel when he was bumped from the race that means the most to him — and really, any IndyCar driver. One of the circuit’s most popular competitors and a likely contender for the overall championship, Hinchcliffe and his No. 5 car did not make the field for Sunday’s Indianapolis 500. But he isn’t expressing any animosity toward the 2 1/2 mile oval, however. Nothing even close. “The Indianapolis Motor Speedway is a tricky track, a very temperamental track,” 31-year-old Canadian star said Tuesday. “It is super sensitive to weather and car setup. You can have a perfectly good car one day and roll it in the garage, and the next morning roll out the same car and the thing is trying to kill you. “And then the event itself, just the way the month goes, you have these good days, you have these bad days, and qualifying is super unique and super stressful. And then you have the race itself, it’s the biggest deal in racing. Hinchcliffe was the first driver out Saturday after a 2-hour, 20-minute rain delay that changed the conditions. His four-lap average of 224.784 mph was far slower than anyone anticipated. With a large group of drivers waiting to get through the qualifying line and another 51-minute rain delay, nobody got a second chance until the final hour. As Hinchcliffe’s car sat in the second qualifying lane — designated for cars attempting to improve their time without withdrawing their speed — Conor Daly bumped him from the race. His team then scrambled to push him to the front of the first lane, those designated for cars withdrawing times or with no time, so he could go first. When he finally did get on the track, a vibration forced him right back to the pits. He never got another shot. “It is crazy to think the last three years we have gone from missing the race with an injury to being on the pole to now not even being in the show,” Hinchcliffe said. “It is crazy what a relatively short amount of time can do in terms of the Indianapolis Motor Speedway. 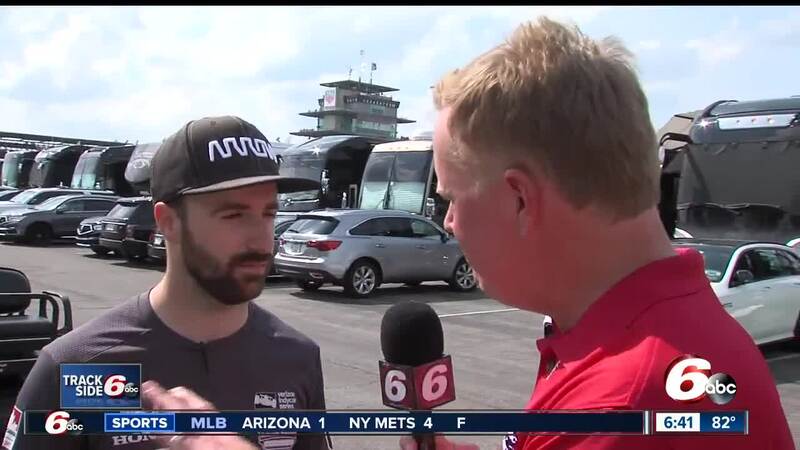 Hinchcliffe will be at the track Sunday, helping Indy 500 teammates Robert Wickens, Jay Howard and Jack Harvey in any way possible. He will honor commitments with Arrow, his main sponsor, and other partners, and recognizes there will be media requests. Those he will be considering on a “case-by-case basis,” but he has no idea what emotions he will be feeling. “I expect Sunday to be one of the hardest days in my career, to be honest,” Hinchcliffe said. “The difference of watching in 2015 was I couldn’t physically do it if I wanted to, and frankly didn’t really feel much like doing it that day. This time I am very physically capable and very much want to be doing it, so it’s going to be tough. Ah, victory lane. In a weird way, being bumped from this race could have a side benefit for Hinchcliffe and his team. No, they aren’t likely to be in the championship chase after getting zero points at Indy. But their approach for the rest of the 2018 schedule could be impacted by this weekend’s idleness. “I think for us as a team, that’s all we can do is really buckle down and use this as motivation,” he said. “Not that our team needed any. It’s a great group of people, a very competitive group of people, and we’ve actually had a really strong start to the year.